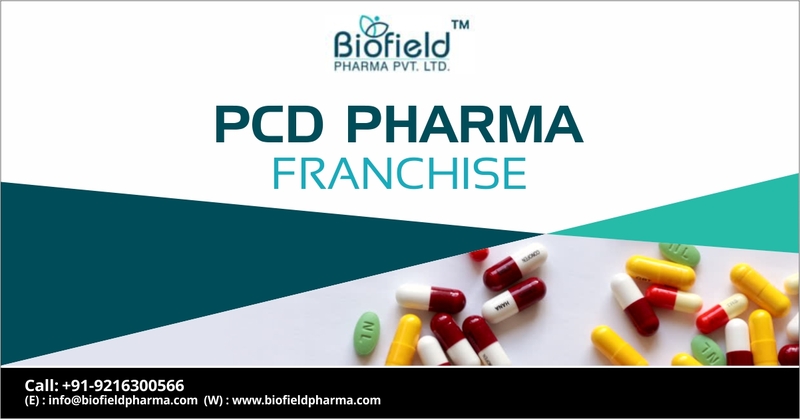 PCD Pharma Franchise in Andhra Pradesh – Fine quality medicines have been the biggest advantage of Biofield Pharma! We are an ISO accredited top pharma Franchise Company in India that offers manufacturing and marketing services across India. We have covered all the regions of Andhra Pradesh like Uttarandhra, Coastal Andhra, and Rayalaseema. Our company invites people to become a member of PCD pharma franchise in Andhra Pradesh. The deals are quite attractive and bring you some of the widest and qualitative range of drug formulations. Demand in Andhra Pradesh for quality medicines is high. You will get an attractive range of medicines covering antibiotics, analgesics, multivitamins, anti-viral, anti-infectives, antiviral, local anesthesia, antipyretics etc. Biofield Pharma is the best Pharmaceuticals Company to collaborate for PCD pharma franchise in Andhra Pradesh. All the medicines are DCGI approved and fully manufactured in Schedule M units. Strict quality affairs and the latest packaging solutions are used. Our deals bring the best for all those who seriously want to start their own business. Our strategic management team will help decipher better growth scope in the market you genuine want to rule against other competitors. If you want to get more details related to our PCD franchise deals near you, directly call us at +91-9216300566, +91-9216300166 and make an inquiry related to our services. Our company also provides an option for online chat and contact inquiry form for you to connect with us. We assure you great deals and better plans as PCD franchise owners in the future. The southeastern state, Andhra Pradesh is a good destination for starting and expanding pharmaceuticals business. Taking in view the growing demand for quality medicines and products in recent few decades, one can expect a good business out of it. A franchise business requires good demand and taking up a franchise in the pharma sector is overwhelming in terms of operation, value, and profit. Andhra Pradesh has seen a good surge of medicines demand among the general masses with frequent healthcare tourists from nearby cities, villages, and towns. The government has been supporting the medical industry a lot to expand its influence in every corner of the state. Better healthcare services mean a better economy and PCD franchise is the best business option. The profit margin in pharma sales is good in comparison to genuine investment plans. Increasing demand for healthcare facilities and diverse demands from hospitals, clinics, chemists, etc predict the healthy demand in Andhra Pradesh. Frequent propagation is being made to raise awareness among the public and masses which is getting popular. Biofield Pharma is the leading pharmaceutical company in the region that is offering franchise business opportunity with various benefits. The vacancy is good currently and is filling the space quickly. You can anytime contact us and know about the PCD franchise deals for you, in your desired place. We have covered multiple drug markets that offer a range of tablets, capsules, syrups, injectables, powders, sachets etc. All the medicines and products are available with the approval of global standards like DCGI and WHO. You can PCD franchise in the different market covering specialized to therapeutic and mixed general drug market. We assure you great deals in every collaboration. The price of each drug is quite affordable. We do not charge hefty prices on our members and make sure good margin on sales are earned by you. You will get the exclusive rights of distribution based on the monopoly for the better business experience. We offer marketing support and promotional backups that are free of cost. You can contact us now and get more information related to the franchise and our company.